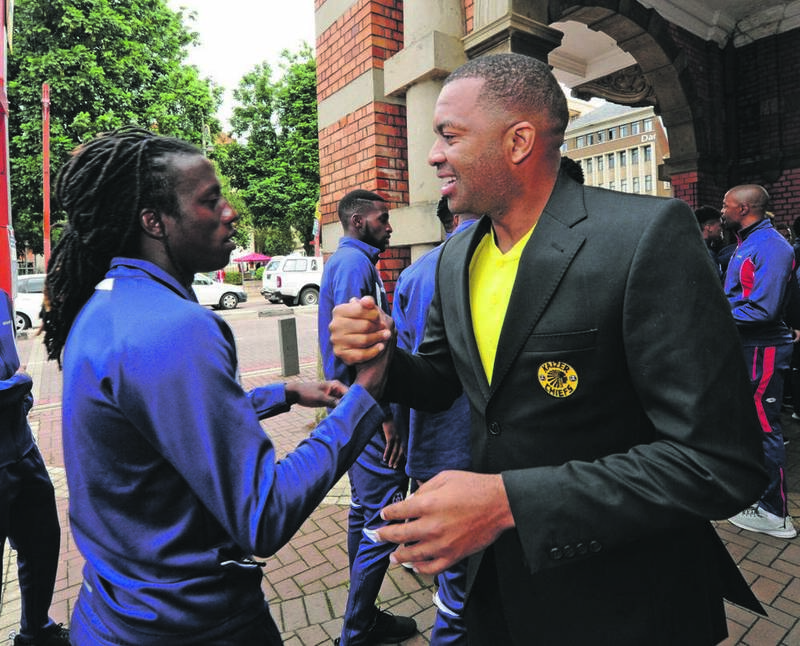 Players from several soccer teams joined other mourners at the Pietermaritzburg City Hall on Tuesday morning to bid farewell to Arthur Bartman, former Maritzburg United goalkeeper coach and Kaizer Chiefs goalkeeper. Bartman’s family revealed he had died of meningitis. He was 46. His funeral will take place in Nahoon, East London, on Saturday. Speaking at the memorial on Tuesday, Maritzburg United chairperson Farook Kadodia said Bartman’s death was a huge loss to the entire soccer fraternity. “The news of his death was received with shock and disbelief. In my young days I have always observed Arthur as a young humble person. As a Pietermaritzburg-born footballer we all followed his career very well, among the clubs that he played for are Bush Bucks, Dynamos, Kaizer Chiefs, and more recently Golden Arrows. “After all this, he chose his hometown, Pietermaritzburg, to pursue his coaching career,” said Kadodia. Chiefs media manager Vina Maphosa said he, along with a few Chiefs players and officials, had attended the memorial to convey their condolences to Bartman’s family and to bid him farewell. “My heart is bleeding as I stand here and smile; I hope that my smile will shine onto his family and give them strength to get through this tough time,” said Maphosa. Chiefs and Bafana Bafana goalkeeper Itumeleng Khune said he too had learnt a lot from Bartman and applauded him for his unselfishness. Khune said Bartman had mentored a local Pietermaritzburg soccer player and helped him prepare for several Chiefs’ trials. Bartman’s aunt, Mavis McKenzie, said she was “heartbroken” that her nephew, who grew up in Eastwood, would not be buried at the local cemetery where the family have buried all their relatives. “Once a month I normally visit all our relatives’ graves as they are all in the same cemetery and right now I have a sense of endless sadness knowing that Arthur won’t be buried here and we won’t be able to visit his grave,” she said tearfully. Michael, Bartman’s younger brother, said the whole family were very sad as Bartman was the “pillar at our home”. Michael said Bartman’s wife, Kim, said it was Bartman’s wish to be buried in East London. He is survived by his wife, one child and nine siblings.